With over 100 years of combined experience, Adventure Lighting is your last stop for all things LIGHTING. 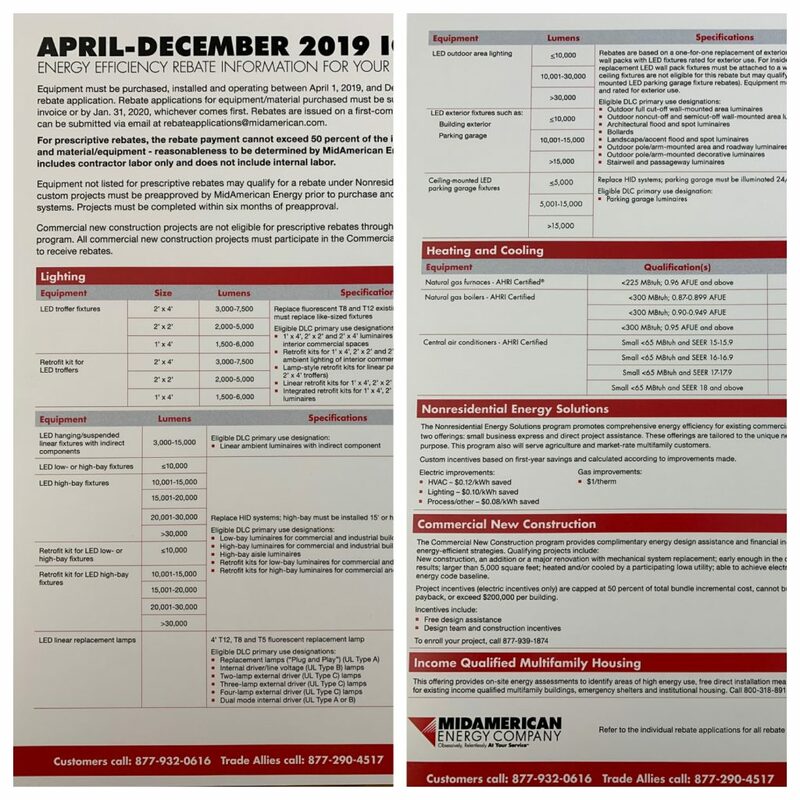 2019 MidAmerican Energy Rebates Announced! The 2019 MidAmerican Energy Rebates have been announced! 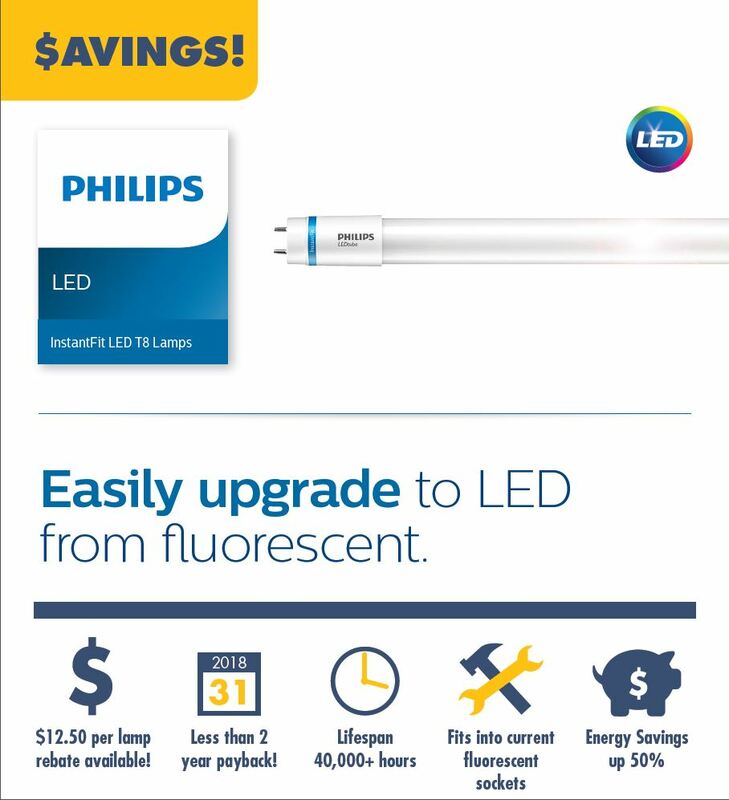 While most of the rebates remained unchanged, 4' LED Tube Rebates are now $3 per tube. Contact Adventure Lighting today to get your share! LED T8 is a simple and cost effective way to upgrade your facility to LED. Call your salesman today for more information! If you're warehouse is in need of an upgrade, take advantage of MidAmerican Energy's $200 fixture rebate! This warehouse has never looked better! 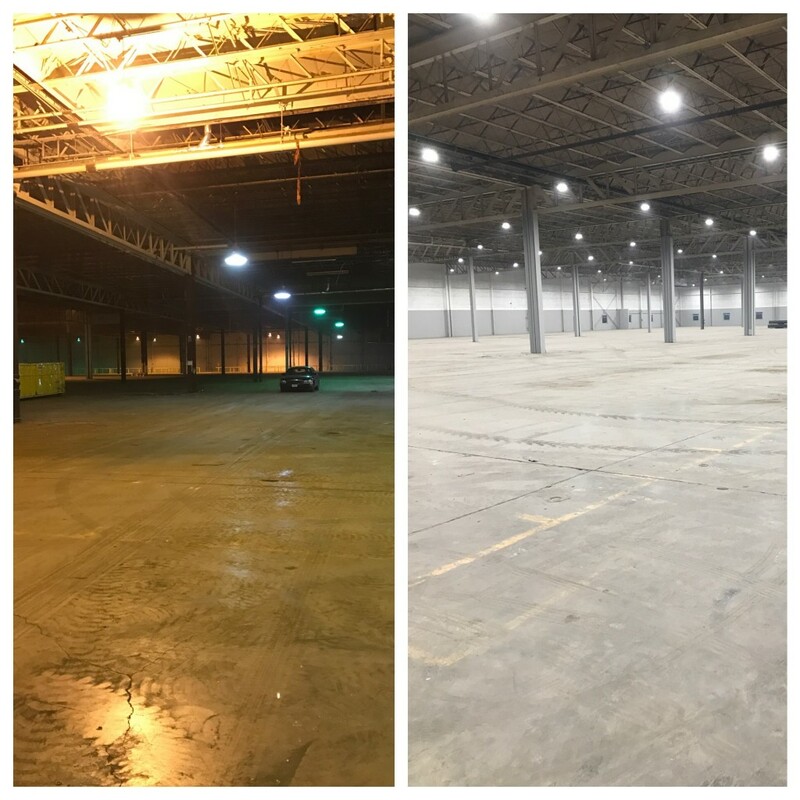 This customer upgraded their warehouse to Long Lasting LED Fixtures. They save 60% on their lighting costs with this simple 1 for 1 upgrade! Energy Efficient Lighting has never been easier! Call today to get a free audit of your warehouse. 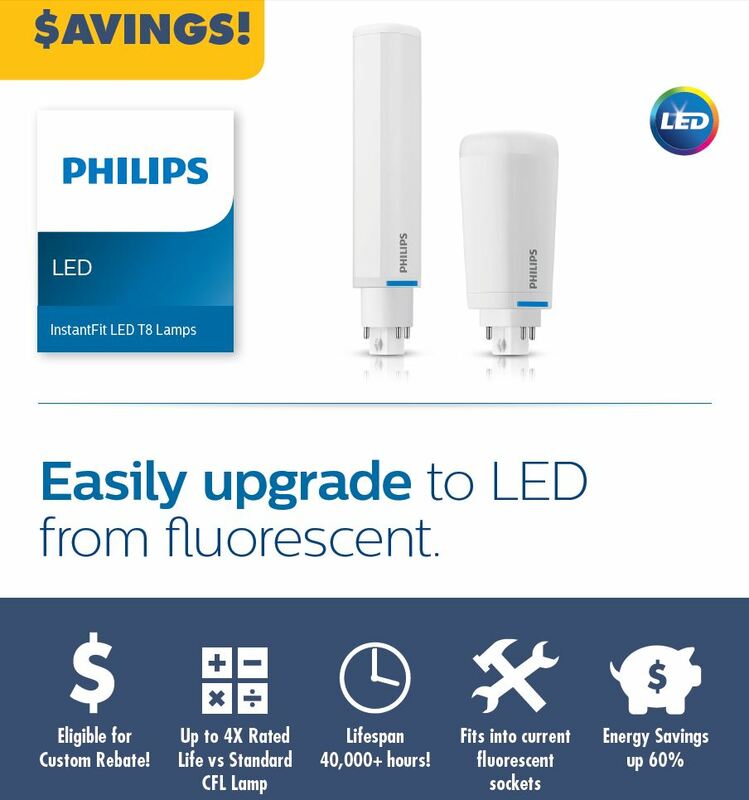 New from Philips, the LED Push-in Replacement for PL-C, and PL-T CFL Lamps. This LED saves energy and lasts longer than standard CFL. Call today to see how easy it is! 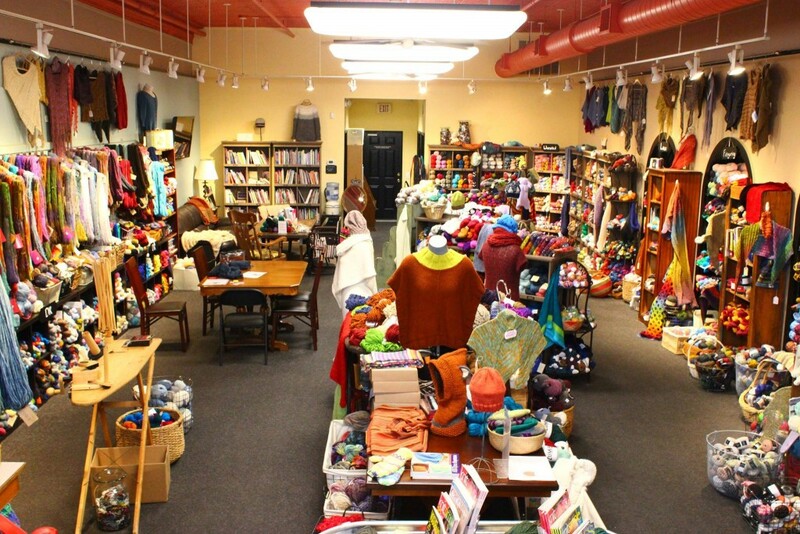 The Yarn Junction recently upgraded their space with LED T8. Here's what they have to say about their upgrade: "If the store feels a little brighter these days, it's because it is! Thanks to Brian Huff at Adventure Lighting for helping us pick out the right LED lights to brighten our store and make sure the yarn colors look natural." Adventure Lighting is Iowa’s Premier Lighting Distributor. We specialize in the sale of lamps, ballasts, and fixtures to the commercial and industrial markets of Iowa. As well as schools, government agencies, hospitality and churches. Because lighting is our primary focus, we have the knowledge and experience to recommend & provide the right product for any application. Give us a call today to find out what can do for you and your business.